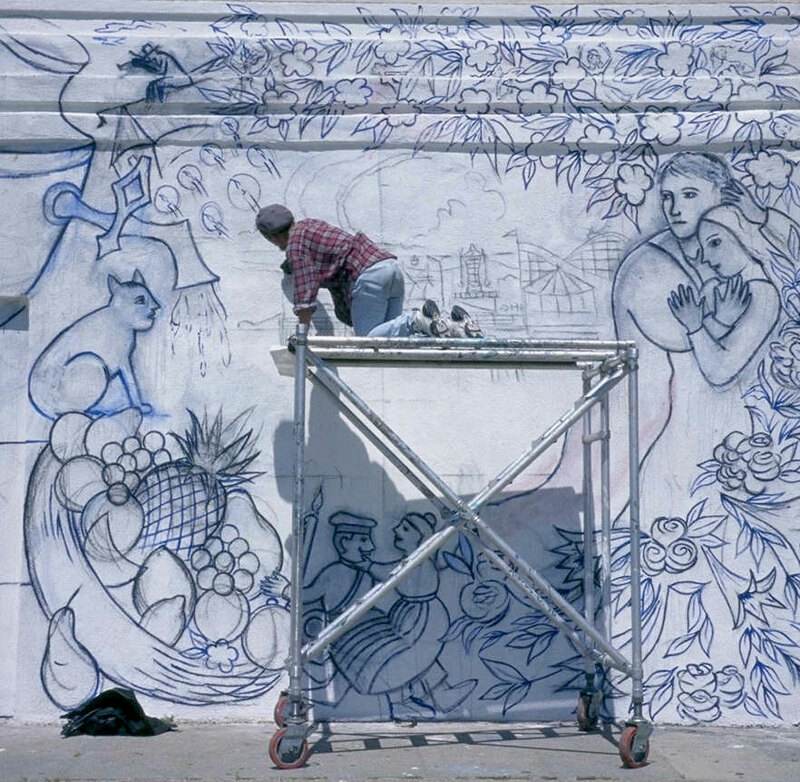 City Wide Mural Program – Chagall Returns to Venice Beach - SPARCinLA We are SPARC: Art | Community | Education | Social Justice SPARC | Social & Public Art Resource Center | Creating Sites of Public Memory Since 1976 | Founded by Judy Baca, Donna Deitch & Christina Schlesinger | SPARC is a community cultural center that creates public art as a vehicle to promote civic dialogue, foster cross-cultural understanding, and address critical social issues. 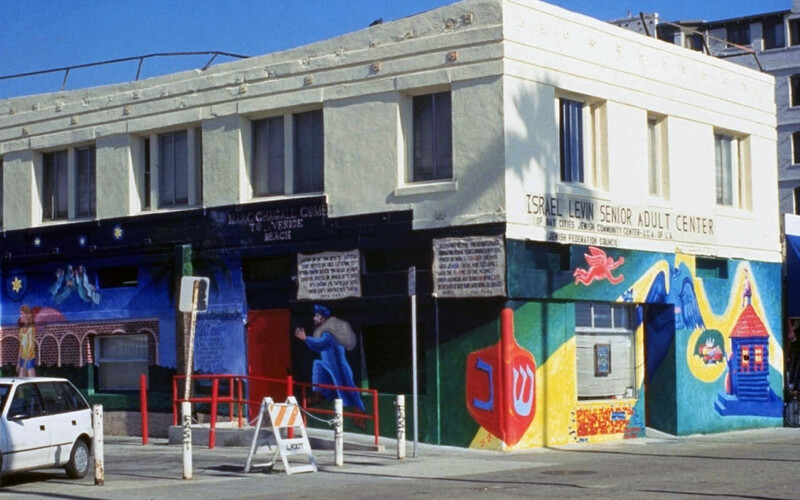 We accomplish our mission by producing, preserving and presenting community-based public art. SPARC is a facilitator Ð finding ways to tell richly textured stories that help community participants and artists achieve a measure of change and transformation. Christina Schlesinger was born in 1946 into the family of renowned historian and Harvard professor Arthur M. Schlesinger Sr. and Arthur M. Schlesinger Jr., who was the White House Aid to President John F. Kennedy and advisor to President Lyndon B. Johnson. She lived in Cambridge, Mass. And Washington, D.C., earned a B.A. from Radcliffe College in 1966, and studied at Cal Arts in 1971. 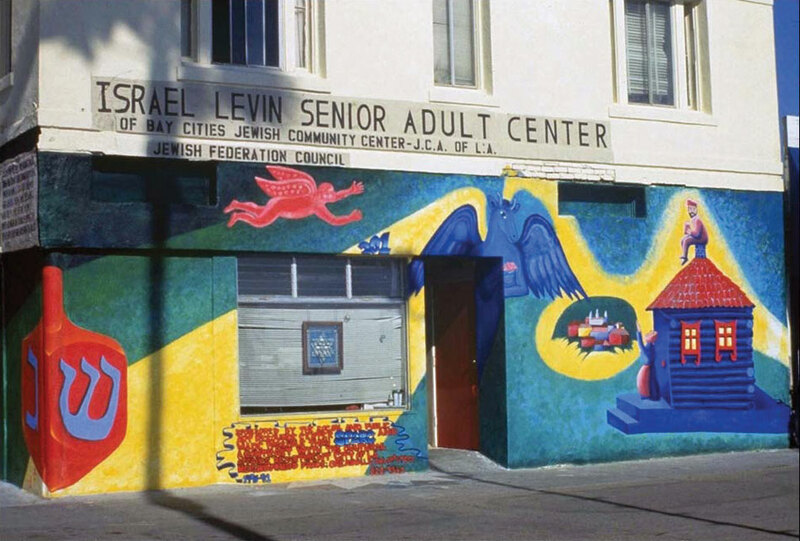 In Los Angeles she was involved in the Citywide Mural Project, and in 1976 she helped found SPARC, with Judith F. Baca and Donna Deitch. She also studied ink and brush painting at the Zhejiang Academy of Fine Arts in Hangzhou, China. 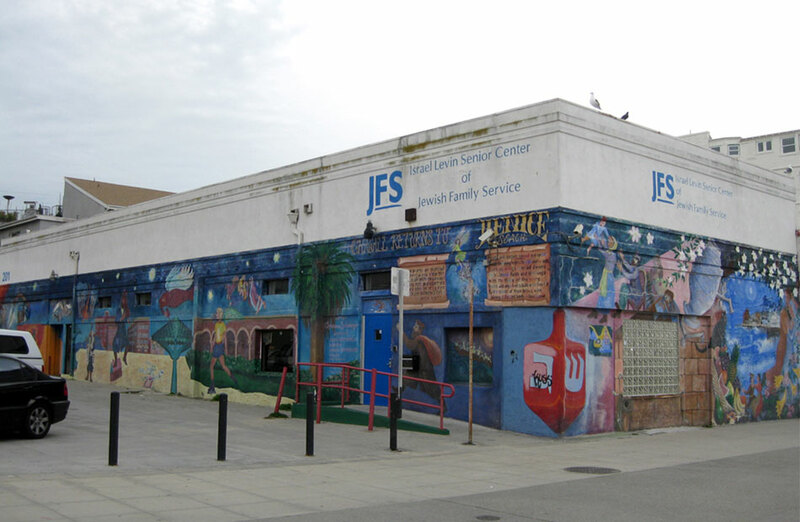 The winner of numerous grants and fellowships, she also worked for some years with New York City youngsters designing and painting murals in high schools. 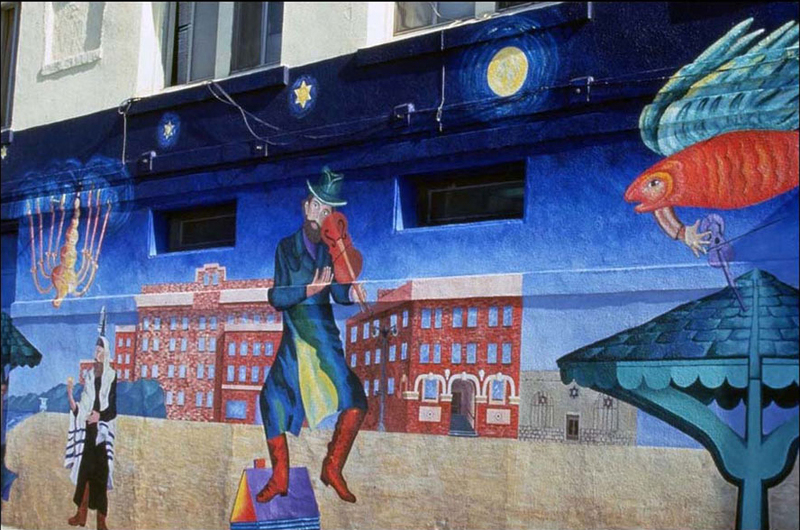 The mural employs imagery from the Russian-Jewish painter Marc Chagall superimposed onto the Venice Beachfront. 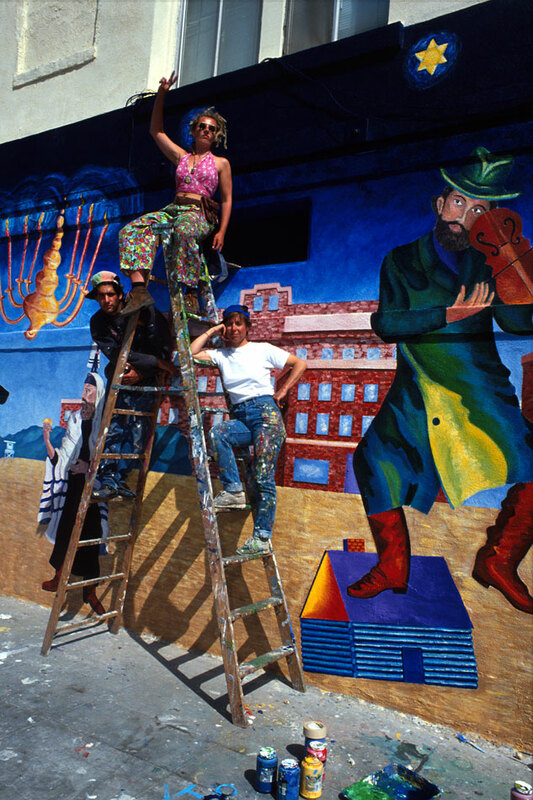 At the far left a rabbi is holding a torah on which is written, in Hebrew, the 5th Commandment, “Honor Thy Father and Thy Mother.” A Chagall bird leaps from the flames and leads the viewer’s eye into the main section of the mural, where various characters and images from Chagall are placed onto the Venice Beach and boardwalk. A rabbi with a small rabbi standing on top of his head, indicates the many generations of teachers in Jewish history. Next to the fiddler on the roof the viewer sees the non-Chagallian character, an angel on roller blades representing contemporary Venice beach. He stands beneath a candelabrum of seven candles, referring to the seven-branched menorah and the extensive use of light in Jewish religion and culture. At the other end of the mural is a poem about overcoming obstacles called “Roots.” It is written by 95-year-old Dora Bayrack. 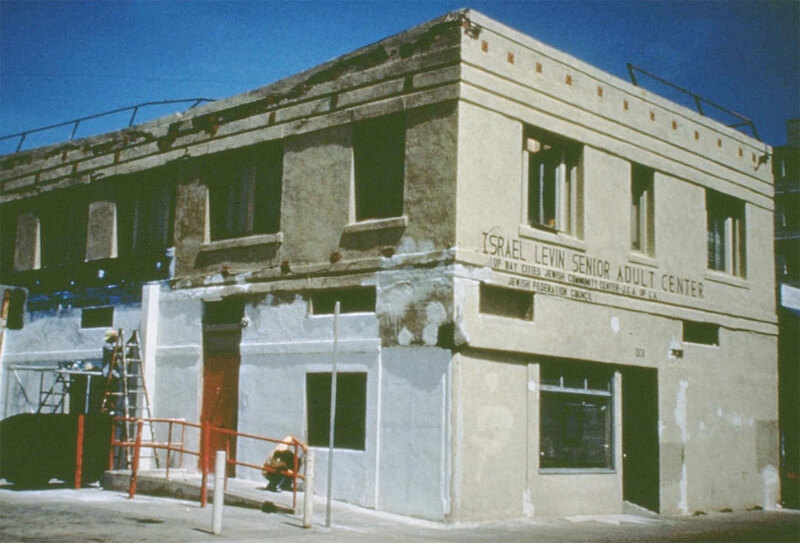 Disaster struck in 1994 when the Northridge earthquake caused so much damage to the Israel Levin Center that the entire building had to be re-plastered. In the process, the mural was destroyed. 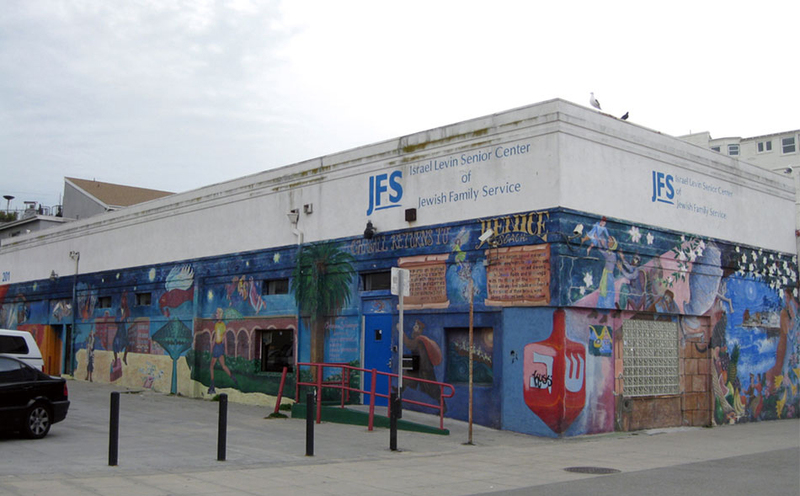 Distressed at the loss of the mural the center’s senior citizens appealed and petitioned to the Jewish Federation to sponsor a restoration effort. The mural has suffered graffiti, delamination and fading damage.